Same day Passengers reporting will be in the morning time from 06:00 A.M. to 09:00 A.M. 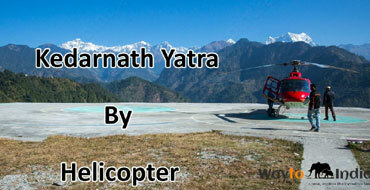 Passengers are requested to contact Phata/Sersi/Sitapur helipad office a day prior to their Journey. The minimum waiting period of passengers would be 2-3 hrs but it may exceed to 5-6 hrs as per the ground situation such as weather condition, time of refueling the helicopter, allocated slot timings to operator or non-availability of passengers at either side. The full refund of the ticket after deducting INR 1000/- per ticket as booking fee/Service charges would be accorded per person. Online booking fee Rs.1000 per ticket would not be refunded under any circumstances. No ticket would be carried forward to next day. Passengers have to make their own necessary arrangements. Upon extra payment basis Comfort Connections Pvt. Ltd. Would provide all assistance as is possible under the given circumstances. You are required to report at the designated Aviation Helipad at Phata / Sersi /Sitapur as per the below timings unless information to the contrary is provided to you : For Same Day Return Tickets : 6 am in the morning For Overnight Stay Tickets : 10.30 am in the morning. VIP Darshan slip, if applicable, shall have to be purchased by the Yatris directly at their own extra cost at the helipad.The cost charged doe not include cost of VIP Darshan Slip. Each passenger shall be allowed maximum baggage upto 2 Kgs in weight. Excess volume/weight of baggage shall not be allowed under any circumstances in the helicopter, as this is necessary from safety point of view. 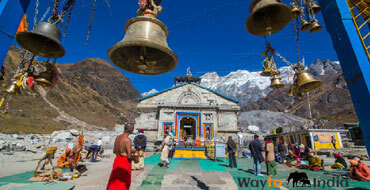 We suggest that you add info@triptochardham.com to your contact list in Gmail/Hotmail or whichever mail client you use. This will ensure that our important mails would land into your inbox and not in junk mail folder. Kindly note that once online payment is successfully done by you, you would be required to print the e-receipt which you will get in your mail. Once you receive the e-receipt, call immediately on 8527255995/ /8882224422/9910655460 /011-490 52512 to intimate that your payment has been successful and once your payment has been processed by Payment gateway, we would send you e-receipt by mail. In case you are not able to print the e-receipt, it shall be your responsibility to call on 8527255995/8882224422/ 9910655460 / 011-490 52512 and report that you have not been able to print your e-receipt immediately. We would then verify your payment and mail you the e-receipt. You would be required to take a copy of e-receipt as well as ticket sent to you by us in your mail later. For passengers who are over 85 Kgs in weight, passenger overweight charges shall be directly charged by the helicopter company. This would be subject to helicopter operator not losing a seat in the trip. This will be decided at the helipad office and will be final &binding. It is therefore advisable that those whose weight is excessively more than 85 Kgs need to notify us before making online booking. Comfort Connections Pvt. Ltd. shall not be responsible if due to excessive overweight a passenger is denied service by the Helicopter operator. It may not be possible to accommodate passengers travelling in groups with the group only. Group passengers may have to travel in separate flights. You are requested to read all the terms and conditions printed on your Electronic Reservation Slip carefully before proceeding for your journey. Comfort Connections Pvt Ltd is acting only in the capacity of agent for the hotels, airlines, transporters, railways & contractors providing other services & all exchange orders, receipts, contracts & tickets / provisional booking slips/ reservation slips issued by us are issued subject to terms & conditions under which these services are provided by them. 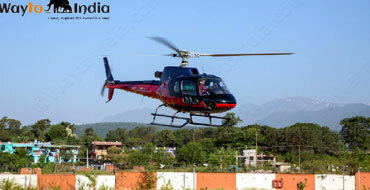 Comfort Connections Pvt Ltd does not guarantee that the flying shall be arranged from any specific helipad. Depending upon the availability of tickets for a particular date, the tickets shall be arranged for any helipad at Phata i or Sersi or Sitapur. 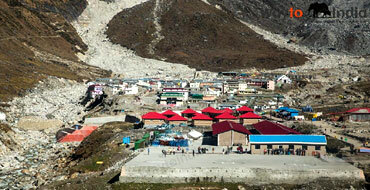 Those who have booked overnight stay ticket shall have to arrange their accommodation on their own at Shri Kedarnath Shrine. Comfort Connections Pvt Ltd. Shall not be liable to arrange for any accommodation. Accommodation can be pre-booked at extra cost. Call on 8527255995. 25% per ticket cancellation charges shall be charged if the booking is cancelled up to one week prior to travel date. If cancellation is requested less than one week prior to travel time : No Amount Shall Be Refund. Jurisdiction: All disputes shall be subject to exclusive jurisdiction of courts in New Delhi. All disputes arising between the company and the client which cannot be mutually resolved, shall be referred to a sole arbitrator to be appointed by company, The decision of such an arbitrator shall be binding on the parties. 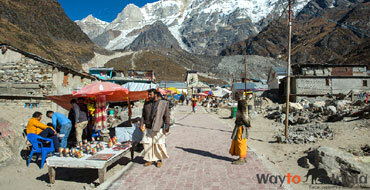 Comfort Connections Pvt Ltd is operating in the capacity of a travel agent. Comfort connections Pvt Ltd has commenced taking provisional bookings upon written assurance from the helicopter operator.All advance booking whether online or offline are subject to final availability of helicopter tickets from the helicopter operator. It is expected that the Government of Uttarakhand may centralise the process of reservation of helicopter tickets sometime in future. Thus, in case of any such eventuality or where for any other reason whatsoever, Comfort Connections Pvt. Ltd fails to arrange helicopter ticket finally for the client, 100% refund of the amount after deducting online booking fee of INR 1000/- per ticket paid shall be refunded back. Online booking fee of INR 1000/- shall not be refunded back under any circumstances. In Case there is any change in the price of helicopter tickets once the rates are finalized and declared by the government and the operator, the difference, if any shall be paid by the client where the ticket prices are increased by government / Operator OR paid by the company where ticket prices are reduced by government/operator, as the case may be. Please note that by booking online tickets on this portal, it is presumed that you have read and understood all terms and conditions of booking and the same are acceptable to you unconditionally. 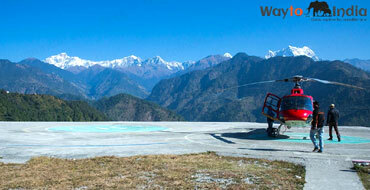 For safe Helicopter flying is imperative that weight restriction parameters are adhered to strictly. 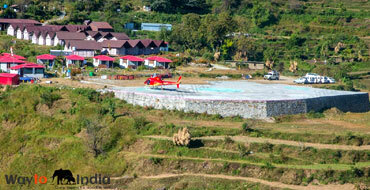 We request the passengers to cooperate with Helipad staff in this regards. GST is included in ticket cost. 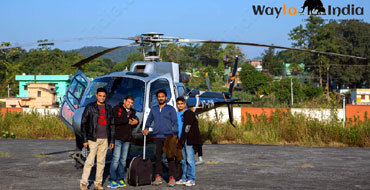 Passengers are allowed to carry only 2Kgs weight in the Helicopter.